VeloSante is a cycling services company that produces safe, custom cycling tours and event support for retailers, teams, clubs, organizations and groups of cycling enthusiasts. Premier cycling destinations include the Natchez Trace Parkway, Blue Ridge Parkway, Skyline Drive, Florida's Hill Country and the northern tier of the United States. Part of the year is focused on producing the Big Ride Across America, a 3300 mile, 48 day bicycle event. A percentage of the proceeds is donated to a charitable organization. VeloSante is a small company focused on personalized service. Clients deal directly with the owners, Charlton DuRant and Lynn Petrotte. Cycling took a strong hold on Charlton in his youth as he spent six years, including high school, in Europe riding, racing and commuting. A few highlights of his cycling experiences include: Bicycle messenger in New York City, manager of two bike shops and part owner of a third, organizer for the Tour DuPont and the 1996 Atlanta Olympics Torch Relay, coach, promoter of United States Cycling Federation training camps and races. Charlton directs the Big Ride Across America. Lynn has enjoyed the freedom of bicycling since she was a child. In 2000, she achieved her goal of riding every mile of the Big Ride Across America. Lynn has developed into an enthusiastic fitness/commuter/mountain bike rider. She is fluent in Spanish and has a M.Ed. in Bilingual Administration. When not cycling, Lynn occasionally works as a watersports guide and instructor, studies yoga, plays in the outdoors and explores new places. She also dabbles in wholesome cuisine and is a gracious host. Lynn handles administration for VeloSante and is assistant director of the Big Ride Across America. VeloSante offers custom cycling trips and cycling support services for events, clubs and enthusiasts. Contact us to discuss custom trip opportunities. hesitate to engage Velo Sante for your next biking adventure. We all talked about how well cared for we felt, and how you both removed all concerns... a great trip run by great people. Thank you so much! -Kathleen K.
Charlton and Lynn, I met up today with three of the 2012 Big Riders, Molly, Cookie, and Rick who are doing the Pacific Coast charity ride. Coincidently, I met up yesterday with a friend’s daughter who had just completed a cross country bicycle ride and shared her experience. What came to my mind was that, upon reflection, you and Charlton did an absolute amazing job on leading the Big Ride. You started by scouting out the ride before we left on our journey, you built a team of riders through some tough love at the beginning, you scouted the ride again each day, and you were there for any issues which came about during the actual bike riding. Molly, Cookie and Rick all noticed the differences in their current ride and commented, "It’s not the Big Ride" not referring to the trip, but to the level of support you all provided. Big Ride Across America is a seven week, 3,300 mile, fully supported bicycle ride from Seattle, Washington to Washington D.C. What began as a charity bicycle event in the 1990s as a fundraiser for the American Lung Association has become a cross-country trek steeped in rich tradition. People throughout the world have participated in the Big Ride as cyclists, volunteers and donors. The Big Ride challenges the body, mind and spirit. All lodging & meals included (except Rest Day meals). 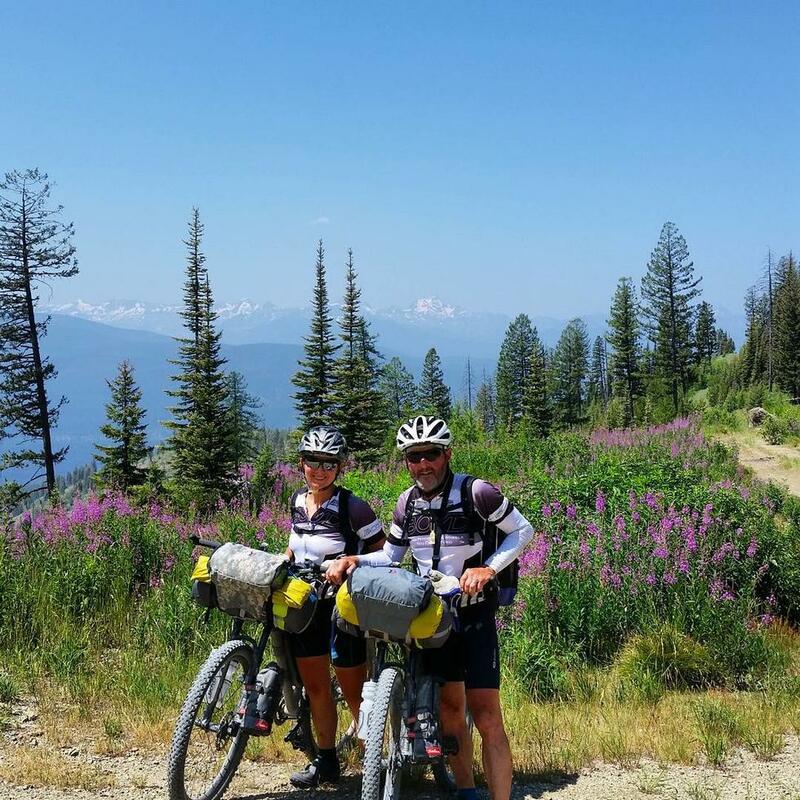 Big Ride Across America – the Ride of a Lifetime! What's happening with the Big Ride Across America? The Big Ride is seeking a not for profit partner and route revisions are underway to make the Big Ride safer and better than ever. VeloSante Cycling Services offers bicycle shipping, concierge camping and a la carte chair and daily cotton towels for cyclists participating in the Florida Bicycle Safari. See details below. VeloSante's services are designed to enhance your experience during this six day event, so you can spend more time riding and having fun! For Safari info and registration, go http://www.foridabicyclesafari.com VeloSante service is posted under the Event Support tab. Bicycle shipping No need to fly with your bike... ship your bike via Air Caddy and we will receive, assemble, repack and drop at FedEx. Camping concierge service VeloSante provides a comfortable, carefree camping experience, including large tents, plush air mattresses, chairs and daily cotton towel and washcloth service. Recharging stations, a secure bicycle corral, refreshments and mechanical assistance (tire pump, chain lube, minor adjustments) are included in the concierge package for Florida Bicycle Safari participants. We set up and break down your tenting accommodations for you. You will find your tent set up in Live Oak, we will move it, along with your luggage, to Cherry Lake. A la carte: Cotton towel and/or camp chair rentals. If you are flying, or need to ship a bicycle, we have found Air Caddy to be a superior way of safely transporting a bike. Re-useable, wedge-shaped bicycle boxes can be purchased at www.aircaddy.com. On the front end, we receive, assemble and transport your bicycle to the event. For the return trip, we repack and transport your bicycle to FED Ex. Contact VeloSante for a ship to address and details. - includes a spacious Kelty 6-person tent (for single or double occupancy), air mattress (queen or twin), chair and daily cotton towel and wash cloth service. We set up and take down your tenting accommodations at the beginning in Live Oak, transfer day to Cherry Lake, and at the end of the event. VeloSante ​is pleased to provide concierge camping services at the 2019 Bike Virginia Tour. 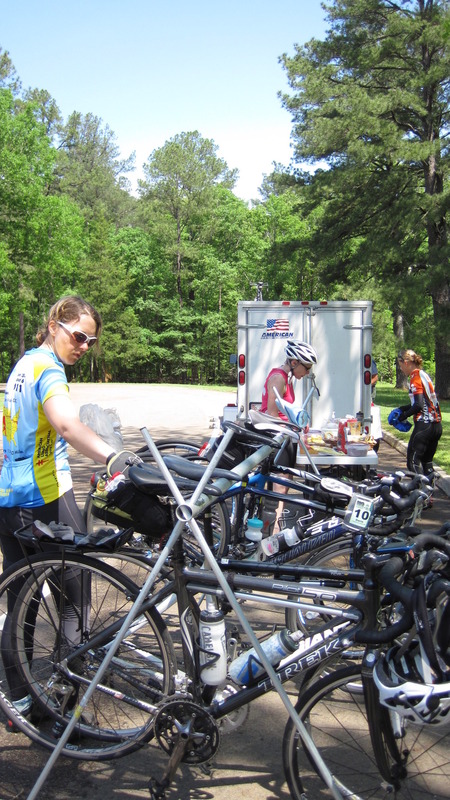 Our services are designed to enhance your Bike Virginia experience so you can spend more time relaxing and having fun! This year Bike Virginia is returning to a favorite location for riders - the Shenandoah Valley. Learn more about the 2019 Bike Virginia tour and register at bikevirginia.org See VeloSante under Sleep - Outdoors - Assisted Camping. Bicycle Shipping via AirCaddy.com If you are flying, or need to ship a bicycle, we have found AirCaddy.com to be a superior way of safely transporting a bike. The re-useable triangular container can be purchased at http://aircaddy.com. On the front end, we receive, assemble and transport your bicycle to the event. For the return trip, we repack and transport your bicycle to FED Ex. Contact VeloSante for a ship to address and details. Included are receiving and assembly prior to the event & repacking and delivery to FedEx after the event. *Shipping container & cost of shipping not included. The triangular container/wedge-shaped bicycle box must be used to benefit from the above rates. Contact us for more information and to make reservations. We look forward to helping make this your most enjoyable Bike Virginia experience ever. VeloSante is happy to offer participants in the CNC M2C the Luggage Concierge Package. This premium VeloSante service is available to cyclists who prefer to use their own camping gear, and would like to enjoy more support, comfort and convenience during the event. Q: What is included in VeloSante's Luggage Concierge Package at the CNC "Mountains to Coast" ride? A: Luggage Valet: two (2) duffle bags securely closed and one (1) folding camp chair in a sleeve. Note: Bags transfered to main camping locations only. No luggage delivery to hotels or alternative locations. ~ Morning Beverage Service: Coffee, tea and hot chocolate. Press Pot coffee to get your day off to a great start! Q: Where does the VeloSante Luggage Concierge Package start and end? A: Service begins in Blowing Rock on Saturday morning, September 28, with luggage drop off and concludes in Atlantic Beach on Sunday morning, October 6, after our Morning Beverage Service (before bus departure). Q: What is the price for the 2019 Luggage Concierge Package? Q: How can I sign up for the VeloSante Luggage Conciege Package at the CNC Mountains to Coast Ride? A: Please send an email to velosante1@gmail.com with your reservation request and cell phone number. We will then respond with our current seasonal address to which you may mail your check. Upon receipt, we will email a confirmation of your reservation. Thank you for considering VeloSante's Luggage Transfer Service at this year's CNC Mountains to Coast event. Enjoy seven days of riding through the heart of the mid-Mississippi valley along the New Madrid earthquake fault line. Allow VeloSante to take care of your in-camp needs with Concierge Camping Services and make your experience hassle free. VeloSante also offers bicycle shipping, daily cotton towel service, and camp chair rentals at Ride the Fault Line. This full service option includes a spacious Kelty 6-person tent, thick air mattress (queen or twin), camp chair, daily cotton towel and washcloth service, charging station, shaded sitting area, secure bicycle corral, mechanical assistance (tire pump, chain lube, minor adjustments), morning coffee & tea service and afternoon refreshments. VeloSante sets up and takes down the camping accommodations at each location. Bicycle Receiving & Shipping If you are flying, or need to ship a bicycle, we have found AirCaddy.com to be a superior way of safely transporting a bike. Their re-useable Aircaddy Bicycle Container, a triangular container requiring minimal disassembly, can be purchased at http://aircaddy.com. On the front end, VeloSante receives, assembles and transports your bicycle to the RTFL start in Cape Girardeau, MO. For the return trip, we repack and transport your bicycle to the FED Ex drop location. Please contact VeloSante for a ship to address and details. Included are receiving and assembly prior to the event & repacking and delivery to FedEx after the event. *Shipping container & cost of shipping not included. Note: The Aircaddy Bicycle Container (triangular/wedge-shaped bicycle box) must be used to secure the above rates. *Shipping container and cost of shipping not included. 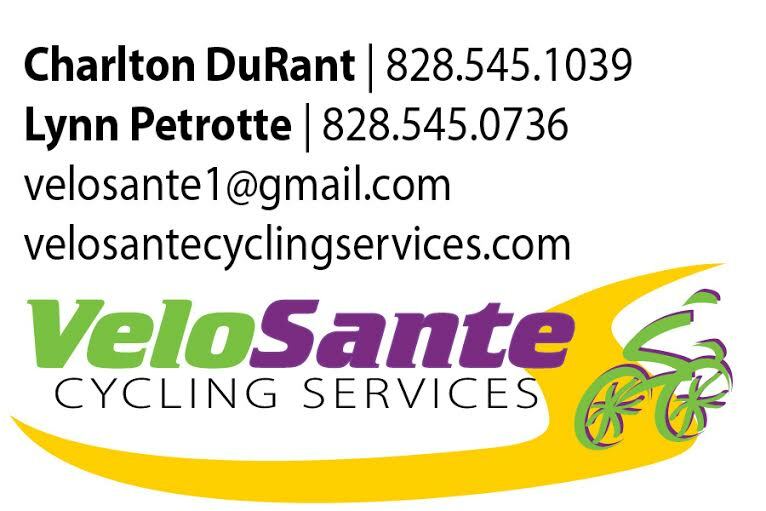 To sign up for VeloSante support services call, email or text us. We look forward to making your experience at Ride the Fault Line the best ever. Thank you for considering our services. We would love to hear from you! To sign up for an a tour or an event, please send us an email or call.